How To Choose A Safe For Your House? Installing a safe at home is as sensible as looking both ways before you cross the street. But with so many different types, makes and models of safe available, choosing one that’s suitable for you can be quite a strain. To help you out, here are the main considerations you should take into account when choosing a safe for your home. The items you plan on storing in your safe will have the biggest impact on the safe that’s best for you. If you’re looking to store jewelry, small amounts of cash or a handgun, you can most likely get away with a burglary protection safe. If you’re looking to store important documents (including house deeds, insurance papers, passports or your Last Will & Testament), large amounts of cash or your prized baseball card collection, you’ll need a fireproof safe. Where you plan on keeping your safe also has an impact on your decision. If the space you’re working with is fairly limited in size (a cupboard under the stairs or inside a closet) you’ll only be able to purchase a smaller safe. If you have more room to work with (for example, if you’re planning a room around the safe or you’re finally making use of that unused garage), you can buy a larger safe. It’s also worth noting that a garage offers the opportunity to cement the safe into the foundations of your property, offering further protection. Safes come in all shapes and sizes, and with all types of access measures. Some use mains-powered electrical locks, other digital locks, and others still use traditional rotary locks. Be sure to take into consideration which will work best for you. Finally, some insurance premiums can be affected by the insurance rating of the safe you choose. 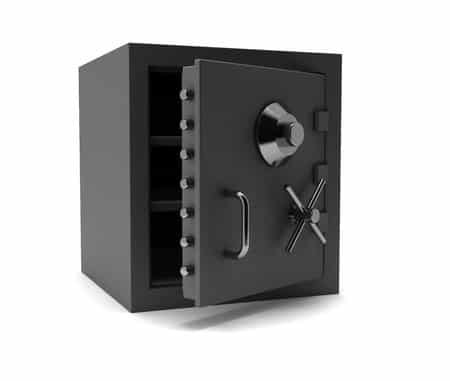 High-security safes can reduce the cost of premiums, which may make them more cost-effective. Be sure to check out the fine print or ask your insurance provider. The Burton Torino Gold is a home safe designed to protect your valuable items from any physical or violent attacks. It offers an exceptional security because it comes with a reliable and durable soft touch keypad digital lock with emergency terminals on its external surface. It also has a laser cut door which prevents the burglars from attacking it with a hammer or chisel. The Burton Torino Gold has received the highest specifications of any S2 rated security safe, and it is tested by several organizations when it comes to its protection. The disadvantage of getting this kind of home safe is its expensive price. Due to its test certificate and specification, Burton Torino Gold is one of the priciest home safes to have. It also has no fire resistance capability unlike other home safes in the market. Sentry Safe Big Bolts is the newest addition to the high-quality home safes in the market. It offers protection from fire, theft and water, which keeps the personal belongings safe and secured from any untoward circumstances. Sentry Safe Big Bolts is equipped with a reliable mechanical dial locking that does not require batteries to operate. It is also independently tested in America by ETL and UL for its fire and water resistance capability. If you have a lot of things to store and safe keeping, this home safe has one multi-position shelf that assists in organizing valuables. The disadvantage of having Sentry Big Bolt is it does not have an easily programmable dial combination lock. It does not have an official cash rating test for insurance purposes. Chubbsafes Air Laptop is a home safe that is designed to protect your laptop, tablet and other valuable items from opportunistic theft. 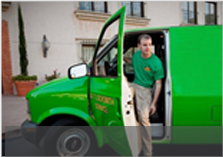 It comes with a secure digital electronic locking system and a fixing bolt that provides an easy installation. The dimensions of this home and office safe can also accommodate different laptop sizes so you can place it securely without the worries of fitting in. However, Chubbsafes Air Laptop has no protection against fire and water damage. It is also not tested for a cash rating on insurance purposes, and it is not suitable for items that need protection from violent attacks.